Digital web mapping has emerged and evolved very quickly. In 2000 ArcIMS enabled people to publish their own digital maps to the internet. In 2005, Google introduced the world to “slippy maps” by developing a new specification for providing map tile images and browser capabilities driven by AJAX which provided a vastly improved user experience for interacting with digital maps. Inspired by video games this format and specification was quickly adopted and replicated across most map technologies which meant map tiles generated with one platform would work in any other platform. GIS systems have simultaneously evolved in parallel on the web giving you the power to work with and overlay information dense operational vector, sensor and image data with contextual basemaps. Technology advances and increased user expectations go hand-in-hand. Mobile devices, detailed retina displays, and high-performance computer graphics mean that applications are immersive, interactive and able to deal with far larger volumes of data. This has led to continued evolution in how maps can be designed and delivered over the web in both 2D and now 3D. Today, vector tiles are a new representation that exploits these technologies to drive dynamic, interactive cartography that can be customized and personalized for every person directly on their mobile device or web browser – removing the need to pre-cache different styled tiles as well as providing access to the underlying data in each tile. Barriers between the basemap and operational data dissolve with contextual vector base maps enabling interactive data enrichment and exploration of operational layers. People can dynamically style basemaps and design tiles for operational use combining interactive data exploration, smart mapping and realtime analyses with the contextual, styled basemap. ArcGIS is a flexible, open platform that supports data management, analysis, visualization and editing across a suite of integrated applications. We engineered the platform to integrate with other technologies to allow users and developers to have flexibility in delivering their information in the most appropriate way. We have added support for GeoJSON, KML, GeoRSS, DCAT, Shapefiles, OGC specifications such as WFS and dozens of other official and community standards in the platform. Vector tiles have been adopted by some major consumer devices and mapping platforms over the past few years, building on standards that were pioneered by open data communities such as OpenStreetMap and Mapnik. Most recently the team at Mapbox developed an open specification for vector tiles that has become a community supported standard. Now more than a dozen other companies and open-source projects implement the same vector tiles format. Instead of building a new interface specification it makes perfect sense for ArcGIS to support the emerging community driven format by adopting and improving this vector tile specification. This means that any of the 350,000 organizations that already use ArcGIS will be able publish their own data as vector tiles or visualize tiles published by other sources. This continues the thriving ecosystem of interoperable maps and data. Today we are demonstrating the capabilities and upcoming availability of vector tiles across all of ArcGIS. We will be rolling out vector tile support in phases. First will be the release of global vector tile basemaps from Esri as an ArcGIS Online service for developers to use with the beta JS API 4.0. The application demonstrated today at the user conference uses an advanced version of this capability that will be released for developers to explore with the JSAPI 4.0 beta update in August 2015. Subsequent releases will add the ability for the ArcGIS Runtime to consume vector tiles across all devices (starting with beta releases this fall) as well as the ability for ArcGIS Pro to create and publish vector tiles to ArcGIS Server and ArcGIS Online (planned for early 2016). Looking ahead you can expect to use vector tiles everywhere that you use raster tiles today. Esri is engineering support for consuming and rendering vector tiles across the ArcGIS platform. For web browsers we have leveraged the mapbox-gl-js open-source library. Using an existing open-source implementation enforces and demonstrates interoperability while also allowing us to identify specific areas to contribute to and improve. As part of this work we will share modifications to the specification and implementation with the community. 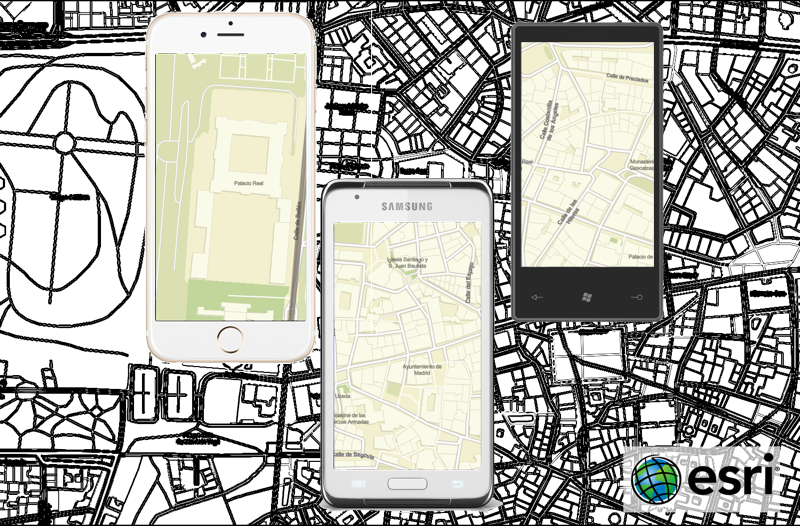 Mobile ArcGIS Runtime SDKs for iOS, Android and Windows Phone as well as for our desktop applications are developing ArcGIS specific implementations of vector tile rendering technologies that follow this specification. We are building a hardware abstraction layer that seamless uses new OpenGL and DirectX graphics technology optimizing for the mobile platforms. Finally, we are engineering the generation of vector tiles from the rich data and cartography that you create using ArcGIS. We see this as one of the major values that support for vector tiles adds to ArcGIS and are focusing key engineering efforts in this area. We are still working on the first stages of our adoption and development of vector tiles but feel that now is the time to highlight the great work that has already been contributed by the geospatial community and our excitement about contributing and joining in. Our implementation of these formats and capabilities is still nascent, but we hope that by providing this early preview we can get feedback from developers, organizations, and the rest of the GIS community as to how best support and expand upon this new model. You will continue to see vector tiles supported in ArcGIS Pro, ArcGIS for Server, the ArcGIS Runtimes, and throughout our WebGIS platform. We look forward to seeing the beautiful maps that you create and share!